The Crosses in Lafayette California withstand the test of time, the passing of it's facilitators, the on-going onslaught of negative responses to it's existence, and the decay, but it has grown since the last time I reported on the display. And the volunteers work tirelessly to maintain it and make it a valuable part of Lafayette California's history. 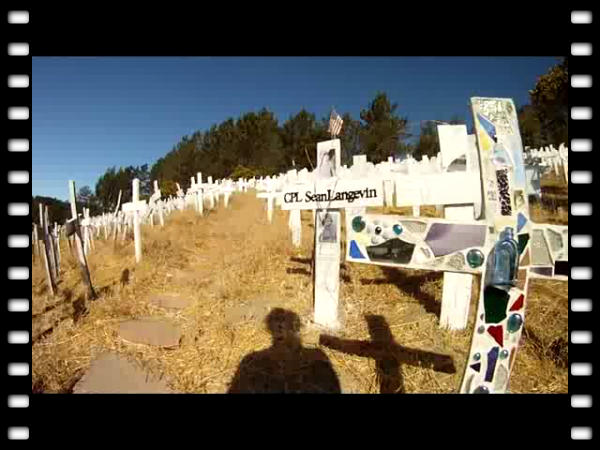 On a small hill in Lafayette California over 6,000 crosses have been erected and displayed as an on-going tribute and to memorialize the soldiers who have been killed in Iraq or Afghanistan. This hillside has been marked with controversy, and has sparked anger and even attracted counter protests to it's existence. The hillside is owned by a woman named Louise Clark. Her husband was a WWII veteran. However both have passed away, but volunteers tirelessly continue to maintain the site. Jeff Heaton was the man who started the installation and his contact info can be found in one of the pics. Waiting, at the ready for more fallen soldiers?